Would you grow this hybrid plant? So far it’s only available in Britain, but it’s only a matter of time until Thompson and Morgan’s new ‘Egg and Chips’ will be available for U.S. gardeners. While I’m a huge fan of chicken and waffles, this horticulture mashup is so much less appealing. Maybe it’s just that eggplants themselves are much less appealing. Before you panic, know that this isn’t any bioengineering—this is simple grafting (connecting the roots and stem of one plant to the stem and leaves of another). 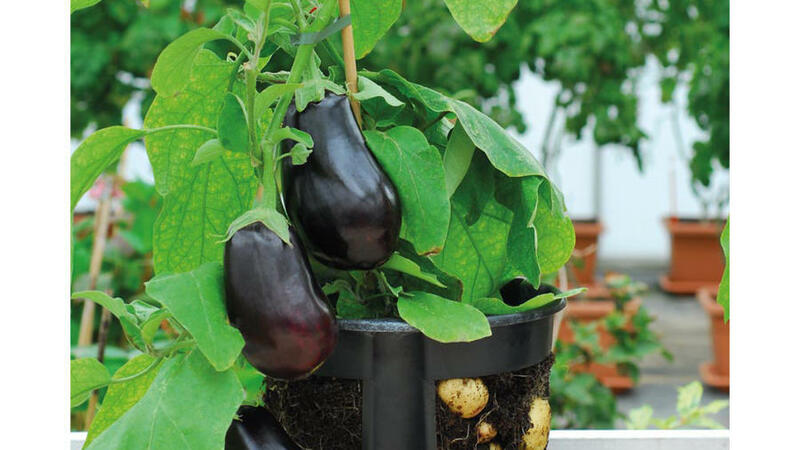 Eggplants and potatoes are both part of the nightshade (Solanaceae), so the graft is especially easy. It’s very similar to the ‘Ketchup ‘N Fries’ that came out a few years ago. So what do you think? Small-space wonder or freaky deaky?